The Xbox PR and marketing team needed a platform for disseminating news directly to their audience of press, media, and consumers. 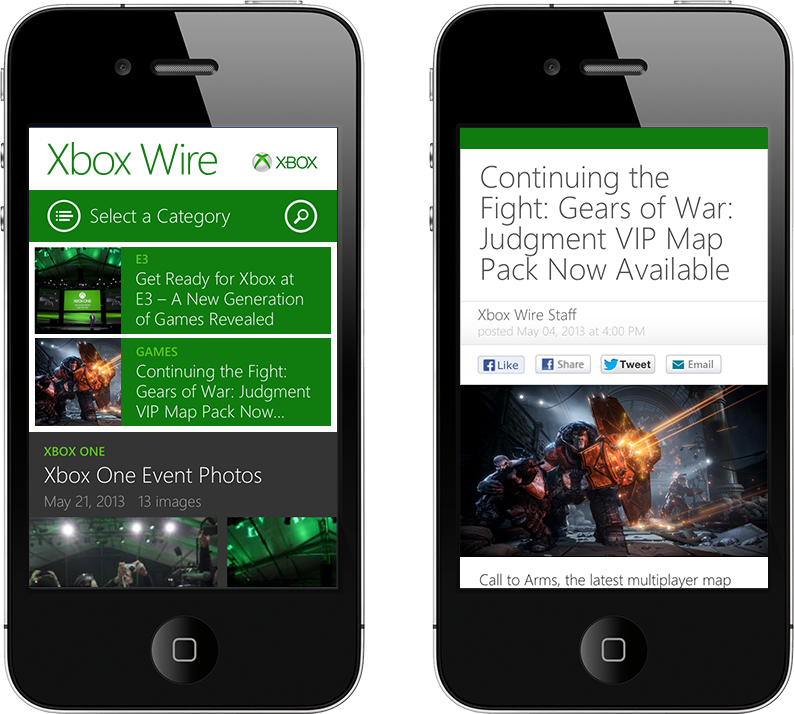 Xbox Wire, designed to family with Microsoft's Modern UI visual language, provides a flexible platform for posting breaking news articles, videos, interviews, photo galleries, and more. A modular main navigation system allows the Xbox team to swap in new categories of posts throughout the year, especially useful for covering special events like gaming conventions and seasonal holiday news. A unique visual archive system provides a means for visitors to quickly filter and find past stories, and a mobile-optimized layout adapts to visitors on smartphones. In the first six weeks of launch, clients were hoping to see 500,000 page views—Xbox Wire drove over 4.2M views, blowing projections out of the water.